Stockpiles at the Biomass plant in Lower Sackville, N.S. Courtesy of Mike Parker. CBC Halifax Information Morning has carried several lengthy interviews recently to do with the state of forestry in Nova Scotia, and in particular controversies surrounding cutting on the Western Crown lands by the WestFor consortium. On June 27, Colin Hughes, owner of G&C Hughes Enterprises Ltd. and Colin Hughes Forestry, was interviewed. Hughes contends that cutting on Western Crown lands by the WestFor consortium is creating a fibre glut which is severely impacting smaller private owners and operators. On June 28, the WestFor General manager was asked to respond. Yesterday, Nova Scotia Natural Resources Deputy Minister Julie Towers was asked about the NS government’s stand on these issues. An “abbreviated transcript” of the interview which is posted online is given below. There is also a post by Emma Smith. I have appended a few comments at the end. I was glad to hear the interview with Julie Towers, as I think we have not heard much otherwise from her. Julie Towers was appointed to this position in late 2016, replacing Frank Dunn. At the same time Alan Eddy, who had been Associate Deputy Minister of NSDNR was transferred Agriculture and Fisheries and Aquaculture. Eddy was widely seen as one of the “Company Men“, while Towers has a background in Aboriginal Affairs and Wildlife Biology, so these changes were viewed as harbouring some positive change at NSDNR. A note about the “abbreviated transcripts”. I am posting these transcripts as a matter of record, a prime objective of this blog being to keep track of Nova Scotia forestry in the news (see About this site). One can listen to the interviews, but in this rushed world it’s faster to read the transcript, albeit you miss some of the nuances. It is not Hansard, and for the sake of getting though it in less than a day the transcript is not always precise, but I attempt not to change the essence of what is said in any way, and one can always check out the audio files. I also do it because it makes me listen carefully to what is being said, whether I like what’s being said or not. That’s often hard to do. For this interview, which was 12 minutes, I have added some subtitles. In general in this blog I highlight ver batim government statement in brown. Intro (Louise Renault and Don Conolly): We have been talking about a deal the province has with a consortium of forest companies called WestFor….the group has license to cut trees on an area of crown land roughly the size of PEI. According to one private woodlot owner, WestFor is cutting so many trees it has caused a glut on the market and private operators cannot sell their wood. We have also heard criticism from the warden of Annapolis Co. He asked the province to keep WestFor from cutting crown land in his county. Yesterday we heard from Marcus Zwicker General Manager of Westfor. He denied WestFor is causing a glut in the market. After that we received several e-mails. Darrel Tingley in Chester writes… stop the madness and rein in the harvesters.. Art Redden from Enfield: Mr Zwicker would have us believe that the mill yards are nearly empty of saw logs and studwood. The mills sing another tune. Almost immediately after WestFor was formed the mills starting dropping the price of sawlogs and studwood delivered to the mills from contractors operating on private woodlots. The amount paid per tractor-trailer load today is $600 delivered to the mill less than before WestFor was formed. Also, the amount of timber the contractors can deliver has been reduced. We need an investigation into this mess before any new agreement is signed between the province and WestFor. Art Redden worked for the DNR in forestry for 30 years. Peter Ritchie: …as long as Nova Scotians continue to deny that we have overharvested for centuries now, we will continue to see these so-called problems worsen… forests are so much more than trees have been commodified to simply represent fibre..in the end it doesn’t matter if it is so-called high grade or low grade fibre, greed is greed. 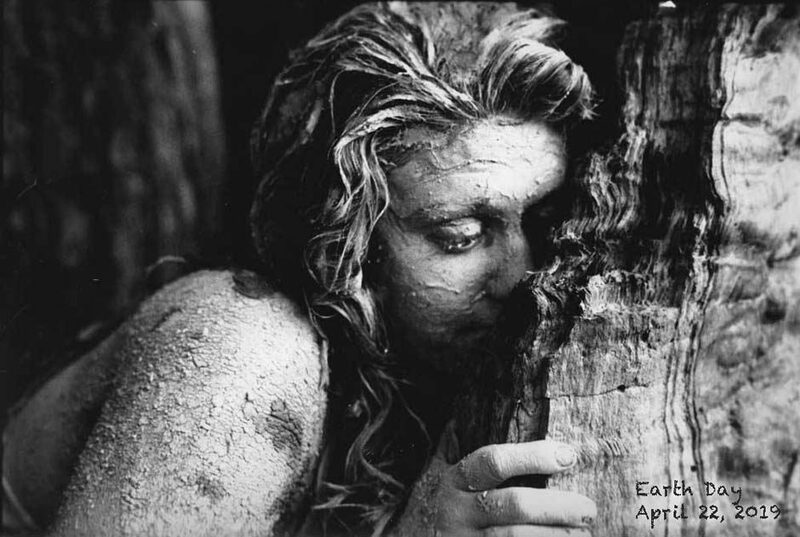 ‘Time to start living within the means ultimately dictated by Nature. LR: Julie Towers is the Deputy Minister of Natural Resources. Is there a fibre glut? DC: Is WestFor causing a glut of fibre whether high or low end fibre in the province of NS? JT: I have been listening to your interviews, they really talk about some of the issues… one of which is the markets. It’s not just about trees and the products coming off, there’s not a limit to where the sawlogs can go. It’s a lot of the pulp wood in particular. We have looked at the numbers. People should remember that WestFor is the same mills that have been operating for many years, this is just the coordination in their planning, rather than 13 different sets of plans. They could be cutting up to 2.5 million cubic meters and the cut in 2016 was a million cubic meters. DC: But is there a glut?… One got the sense when we talked to Colin Hughes he was representative of a whole lot of people full time and part time who feel there is under a great threat because of a glut caused by WestFor. JT: Mr. Hughes and other contractors have talked to the Dept. about their concerns as independent operators and small businesses and how the wood flows on the market. What we are hearing consistently is that again it’s a product-based issue about too much of that lower grade, particularly pulp wood and not having markets for it which is something the provincial gov doesn’t control but certainly we are looking at all the numbers of different products where they are going what some of those price flows are. DC: Intuitively though.. let’s stick with pulp, roundwood for this discussion, If there is less demand ..shouldn’t the province say: well even if you only cut a million, a million is too much because ordinarily we strive for balance between wood which comes off of Crown land and wood from private woodlot owners which has befitted us in terms of NAFTA. It’s been a very helpful thing not only for economy of NS but for our trade relations – we should have less cutting by WestfFor if in fact we are going to protect that balance. JT: You are right on the balance and the recent trade dispute, softwood lumber, it’s all tied in… it’s a market-driven system. What we have seen across the province, including in the Western region, it’s been very consistent, 3/4 of our wood supply comes from private land and a ¼ from Crown land, for many decades. 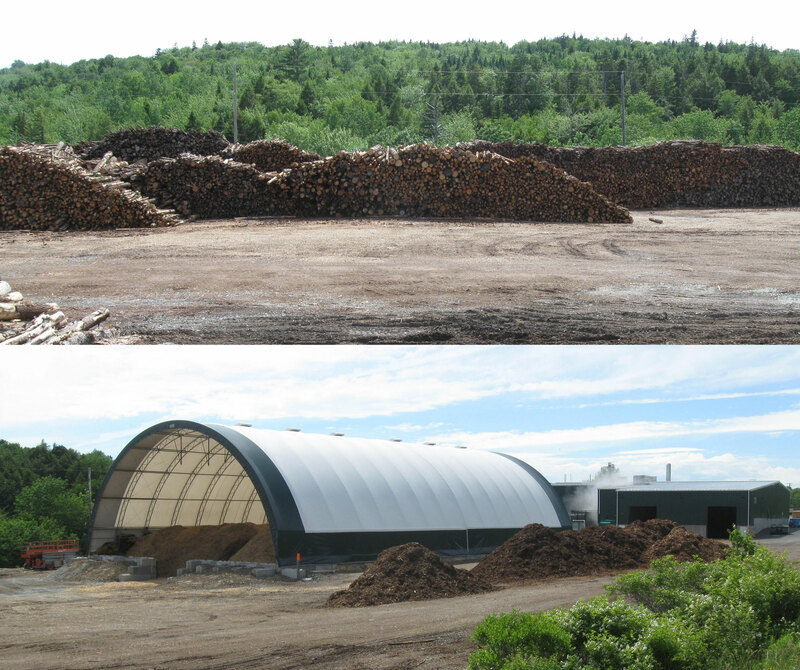 The difference in Western as many people know is not only is there one less pulp and paper mill and one less large sawmill so those areas where wood could be sold in the past are no longer there. The other big issue is that it costs a lot of money to transport wood, so if you are trying to truck something that is already low value, in most cases that won’t go more than 50-100 km away; there’s a limit to where the Western wood can go. DC: but at this stage… do you at the Dept. say, we know where they are cutting, what they are cutting, for whom they are cutting, where the wood will go after it is harvested. Does the Dept. have a monthly or annual record of what’s been going on? JT: [For] any of the timber licenses that are issued, the depart requires a management plan from the licensee, in general a mill owner for example. That comes to us, we have our biologists and foresters and recreational planners all look at that to see where the proposed areas for harvesting or silviculture or roads may be, as part of that we know not only what the plan is and we post a lot of those on line… we have inspections and audits of the sites afterwards. DC: what do make of the suggestion of Peter Ritchie in the email we just read.. that we have been over-harvesting for a very long time. JT: I have been thinking about this because the numbers and one of things I did bring but it’s hard for listeners to see but I encourage folks to go to the website… each year we do publish all the wood, like the different mills. who buys much; we did just publish the State of the Forest Report so that gives a lot of the historical data in terms of what’s been harvested, where, how much old forest there is all kinds of useful info in there… I encourage people to look in there… because even though we could be cutting up to almost 7 million cubic meters, last year which is fairly typical for the last few its been about 3.6 million cubic meters; we’re cutting about half. DC: We could be cutting 7 [million cubic meters] , what does that mean, the forest can take that kind of harvesting? JT: The forest after doing all of the assessments for protecting water, wildlife habitat etc. that’s the assessment of what could come off in terms of trees and we’re cutting about half of that. JT: Scoping it out, drafting Terms of Reference and we are bringing forward the options so that we can very quickly, days to weeks at most be able to bring that out to the public. DC: A completely independent process whereby the relationship between the province and WestFor will be assessed? JT: That’s certainly one of the options. DC: But that would be part of the independent review I guess, would have to include, that’s a major part of the forest industry but the actual review itself of the broader issues around forestry, whether we are taking best advantage of our hardwoods, a subject we did some pieces [on] last year, whether the small independents can be protected… I am just trying to get a sense of where that discussion is now…when you say scoping it out, are we within months, weeks of beginning the process? JT: Very soon beginning, that’s what I meant by days to getting the scope settled and weeks to getting it underway. Because there are so many questions, so to make it practical to have it done, are you going to focus just on things like markets or are you going to focus on forest practices, there are so many questions around forest management and a lot of it was done during the Natural Resources Strategy, but what are the aspects such as this WestFor issue that we do want to look at? DC: One of the elements will be timing because Westfor is now about ½ through a 6-month extension of a their 1-year contract with the province, looking for a new deal. My understanding was they would like a deal for 10 years. Have you heard that? JT: The standard Crown license is for 10 years and that could be for a scout camp or a timber license so that’s the standard for us. DC: Is that a bit of the cart before the horse to have a decision on a 10-year contract which potentially based on what we have been hearing this week, potentially controversial and some would say harmful to the forest.. to make a 10-year deal before the Independent Review takes place? JT: Even before the question of the review came up that’s why there was a pause put on, and it [WestFor’s access to Crown lands] was just on as an extension and not a 10-year to enable time to look at all the aspects of a potential license. DC: Would it be your preference to have an Independent Review competed before a [10-year] deal was signed with WestFor. DC: It would be remiss not to ask you about the Wentworth Cut. That’s Northern Pulp, I realizing Im moving from WestFor to Northern Pulp harvest. ** What do you make of that? JT: There is no “away” anymore. So it becomes difficult to operate a sector and at the same time we have 30% of our Crown is protected, we have 20% significant wildlife habitat, so you have about 40% of the land where you can do forestry and there is no “away” so we are going to run into situations where they are visible. DC: But should it be in a place that has right now summer cottages, winter time [it has] ski resorts, that it is a tourist area and clearly it is a scar on the landscape which if we are taking only half of the lumber off the land that we could have. Surely there is someplace where you can’t see it from our cottage or the ski hill. JT: So one thing you may not be aware of, the province reached out to both the company which is Northern Pulp, and we have been meeting with reps from the community in Wentworth and I know they met on Monday to have these discussions. To make sure the company was aware of the tourism plans and the tourism operators were aware of the forestry plans. DC: To recap briefly, you would see the Independent Commission starting soon. What about the resolution of the contact with WestFor? Do you have a timeline on that at all? Not at this point, we will be working through the extension and the review and seeing how they can mesh or not. DC: So they only have 3 months, is it possible there will be a second extension that will dovetail wth the independent review? 1. Why are WestFor and other mills/operators deciding where to cut, and then asking the province and ostensibly the public to approve (or not) within 20 days? Surely that is resulting in the best stands being chosen first, and is undermining long term sustainability. It’s highgrading at the landscape level. That’s why we are seeing cuts close to Protected Areas for example. Isn’t it the job of DNR staff to identify where to cut, taking the whole picture into consideration? 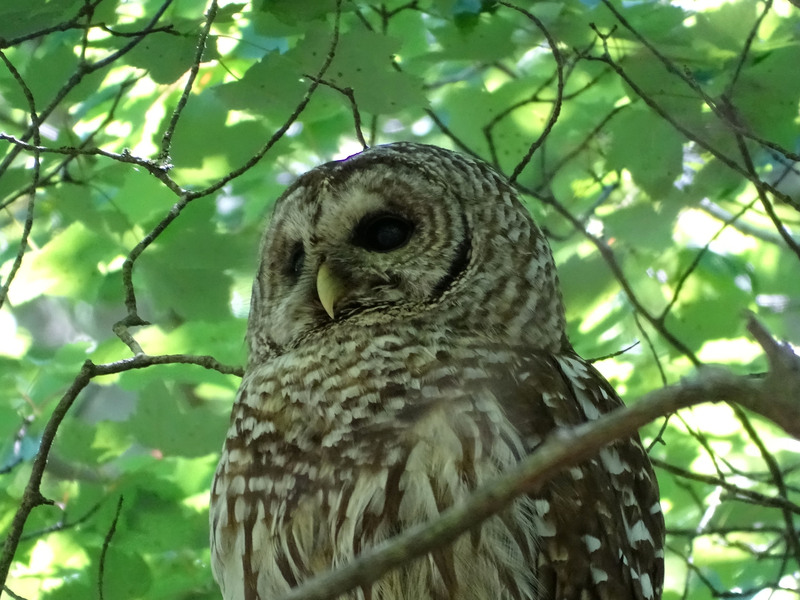 The barred owl requires large trees for nesting. The 2nd Breeding Bird Atlas (2015) commented that “there appeared to be some decrease in western NS, potentially because forest harvesting has recently increased in that region”. 2. When Julie Towers and others in DNR talk about sustainability they cite only the allowable cut. But forestry years ago moved away from this narrow definition of sustainability to embrace sustainability of wildlife, ecosystem services, social values etc. That’s what we would expect to see on Crown land, and ideally to require it on private land as well. You cannot sustain a multi-aged, diverse Acadian forest with clearcuts every 50 years. That’s plain and simple. Even the sustainability in terms of wood production alone is highly questionable. Some of the best science that has been done in DNR, they don’t talk about; that’s to do with the soils. In a peer reviewed paper by soil scientist Kevin Keys of DNR and others they concluded that 1/4 to 1/2 of the assessed plantation sites are not sustainable under current regimes, but this is not even mentioned in the State of the Forest Report. 3. Julie Towers says N.S. is a small province and it’s hard to hide clearcuts. But there is a way to hide the cutting AND sustain the Acadian forest AND the views. It’s called selective cutting! We can have our cake and eat it too, but not when the last piece has been eaten. This entry was posted in clearcuts, Economics, Ecosystem Services, Letters&Editorials, Lumber, NSDNR, Private Woodlots, Pulp & Paper, Show Us the Science, Social Values, WestFor, Wildlife. Bookmark the permalink.